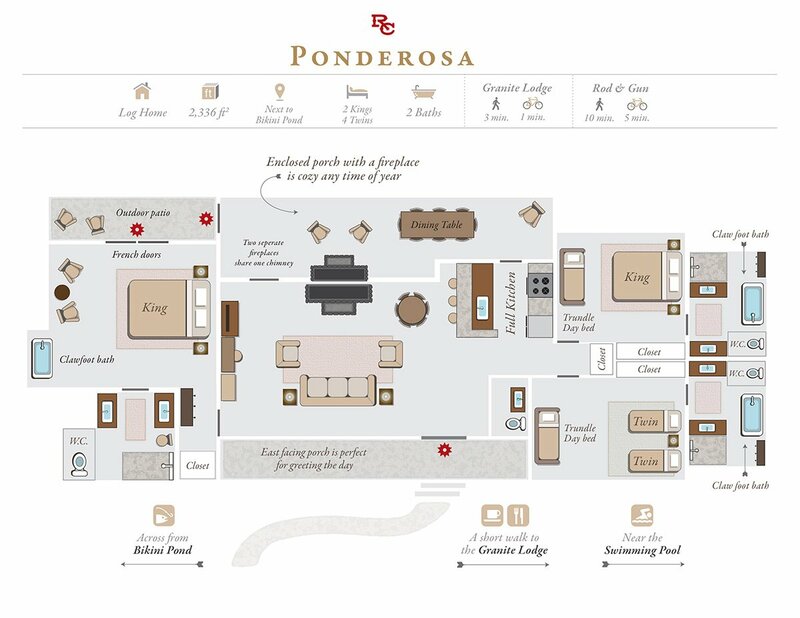 Named for the most abundant tree in the West, the stately and beautiful Ponderosa Pine, the three-bedroom Ponderosa House is nestled near Bikini Beach, just across from the Granite Lodge. 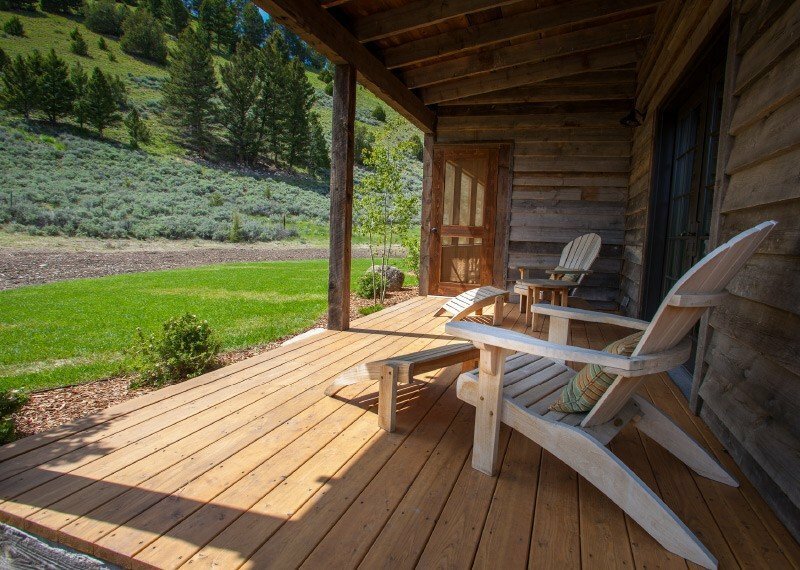 Enjoy wide-open spaces inside and out. 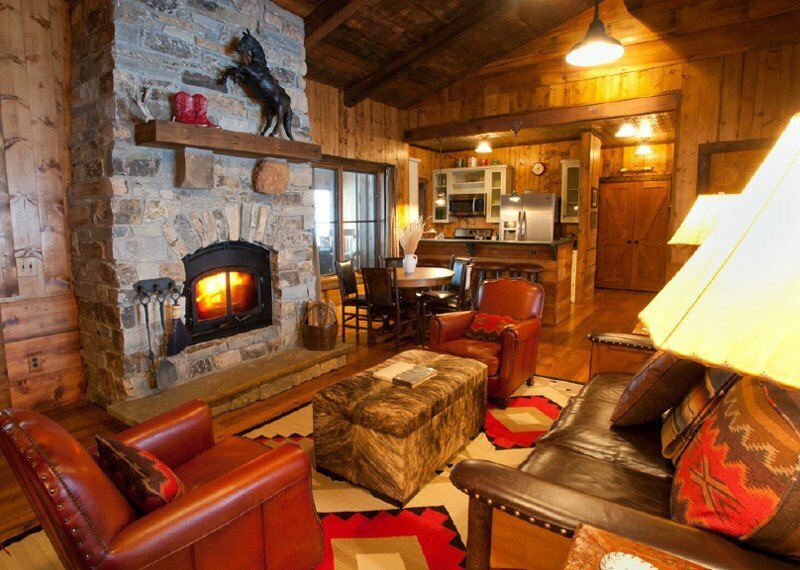 The spacious living area features a comfortable living room with a wood-burning fireplace and a full kitchen. At the back of the house, there is a large screened porch with a second fireplace. 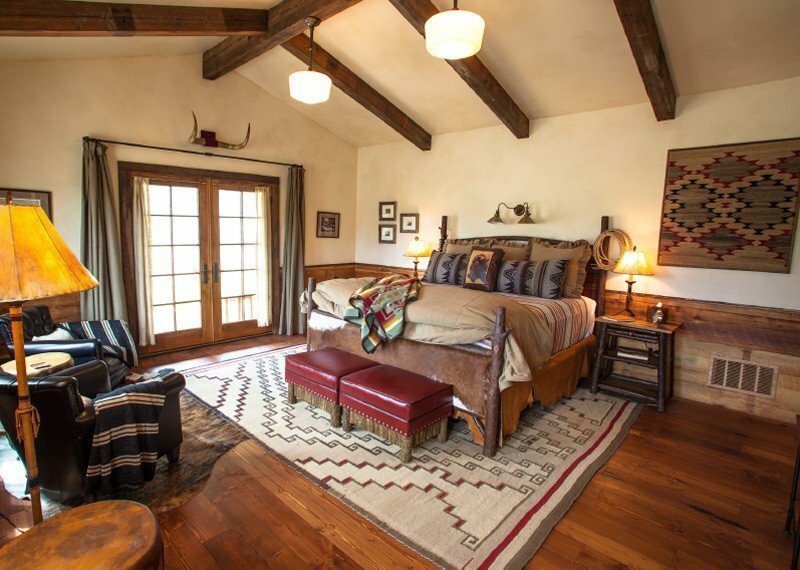 The master suite features a king bed, clawfoot bathtub, porch with sitting area and an en-suite bathroom. 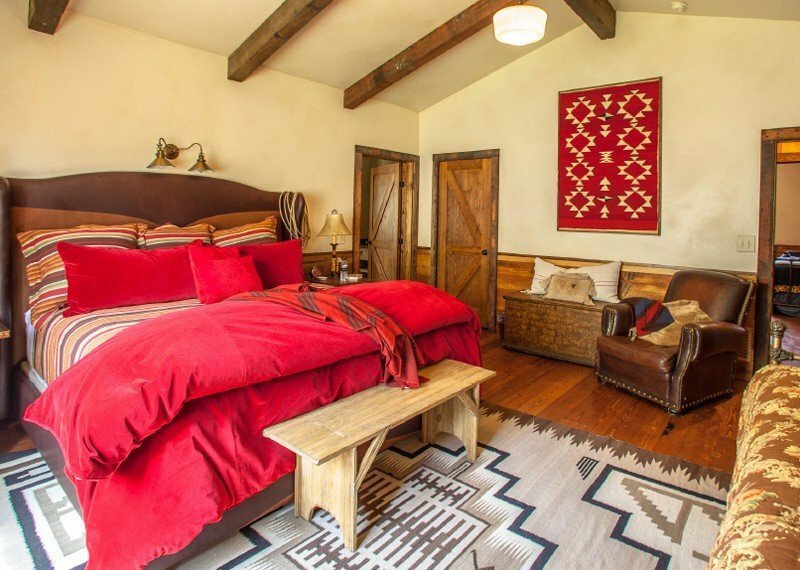 The second bedroom has a king bed, a daybed and a trundle, along with a sitting area and en-suite bathroom. The third bedroom has two twin beds, or converted king, a daybed, a trundle and an en suite bathroom. 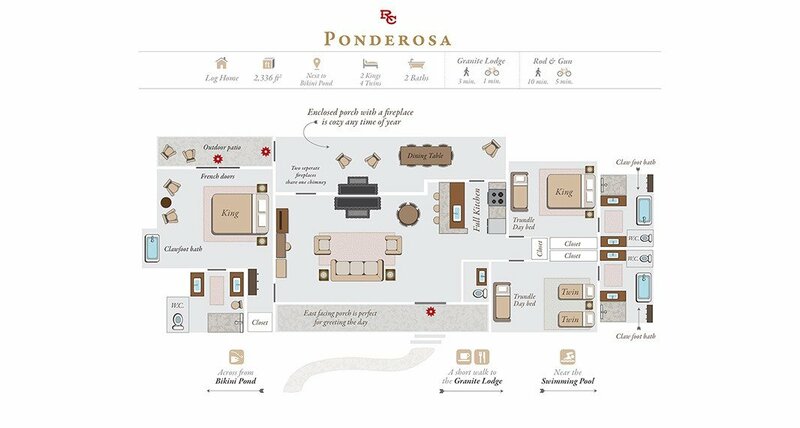 Ponderosa is a 2,336 sq. ft., three-bedroom luxury home. Standard Occupancy is six guests, with a maximum of 10. 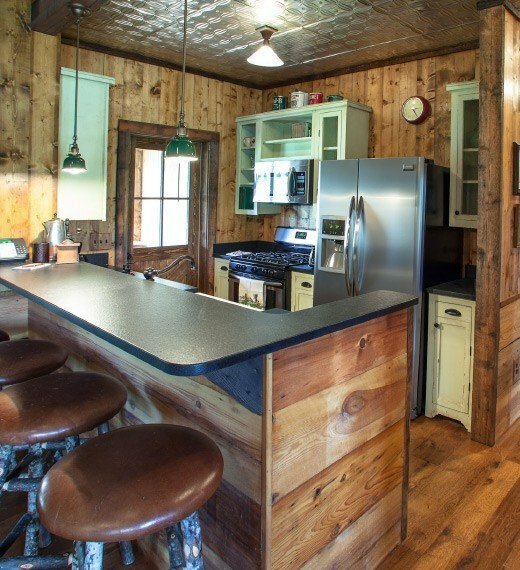 Amenities include a full kitchen, living room, dining area, two porches, two wood-burning fireplaces and three clawfoot bathtubs.